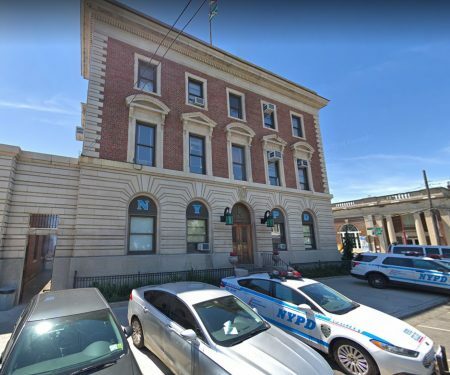 The 104th Precinct could soon be getting a new home, as Council Member Robert Holden announced yesterday that he is actively looking for a place in the district to build a new, state-of-the-art precinct. Holden’s office said the time has come to build out a new precinct, given the growing size and needs of the police force at the current 64-02 Catalpa Ave. location, built in 1929. Additionally, Holden said a recent event involving the 104th Precinct, where he saw the sheer number of police cars parked on the streets, reinvigorated his desire to find a new location for a large station house. The precinct serves Ridgewood and the majority of the council member’s district, which covers Glendale, Maspeth, and Middle Village. But the 104th Precinct isn’t the only precinct Holden is interested in relocating. Both the 102nd, which covers parts of central Queens, and the 108th Precinct, which covers Long Island City up to Maspeth, are in need of new homes, he said. Holden’s district includes sections of the 102nd and 108th coverage area. The new properties, according to Holden, would require ample parking space and enough land for a sizable building to also house a community meeting room. A representative from his office said particular locations for the precincts have not been determined yet. At a public meeting last week, however, Holden briefly mentioned the possibility of turning P.S. 9 at 58-74 57th St in Maspeth into a new police precinct, before recommending that the property be turned into supportive housing. Holden will now have to lobby other officials for support and funding, and has already begun lobbying the mayor’s office. There is no set timeline for the project. Holden’s announcement comes as the NYPD announced the full roll-out of its Neighborhood Coordination Officer (NCO) program, aimed at enhancing community relations and crime-fighting. The 104th Precinct was one of the last to receive the NCO program.